During the winter months, many areas experience cold weather and heavy snow that makes finding something fun to do with your love difficult. 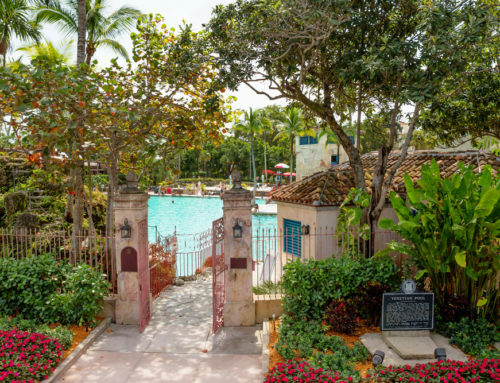 Shake off the winter blues and find a more enjoyable way to get away from it all with a warm-weather escape for two with Hotel St Augustine in Miami. You and your love can reconnect at one of the best Miami hotels and enjoy spending time with the one you love most. Celebrating the love you have doesn’t need to be on a special occasion like Valentine’s Day or an anniversary. When you stay with us at Hotel St Augustine, you can treat your love to a special night out no matter what day it is. Enjoy each other’s company and discover a romantic night out in Miami. Put on your best dress and set out for a classy evening that neither of you will forget. Dine at the Rusty Pelican at sunset and watch the sun sink lower into the sky over the water as you sip wine and indulge in a delicious meal. After dinner, head to downtown Miami and catch a show at The Adrienne Arsht Center for the Performing Arts for an unforgettable evening of laughter and entertainment. When the curtains close, you can continue the night at one of the many upscale bars in Miami or simply return to one of the best Miami hotels, Hotel St Augustine, for a bit of relaxation. Though Miami is known for its lavish parties, clubs, and entertainment scene, that doesn’t mean that you can’t have a quiet night in with your love. Hotel St Augustine is a charming boutique hotel that has everything you need for an evening of relaxing with your love in the comforts of your accommodations. Pick up a bottle of wine and unwind in our spa-like atmosphere and leave your worries at the door for the perfect evening in one of the best Miami Hotels. When you and your other half stay with us at Hotel St Augustine, you can enjoy time away from the worries of life at home and recharge while reconnecting with the one you love most. Plan your stay with us and discover a wonderful getaway to Miami with your love!